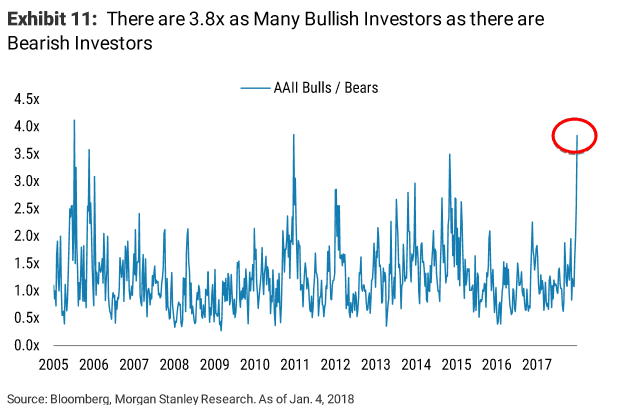 Morgan Stanley: "People Have A Hard Time Even Imagining How The Market Could Decline"
A calm complacency never before seen has fallen blanket-like over US equity markets. 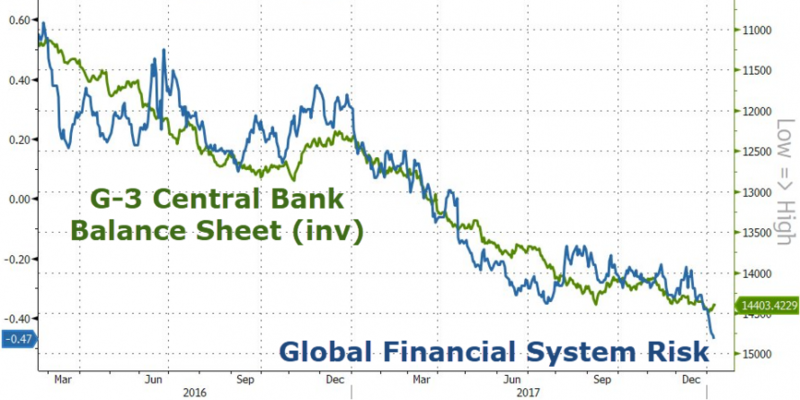 "The behavior of volatility has entirely changed since 2014," noted BAML in a a recent note thanks to major central banks keeping interest rates near historic lows (and printed more money than ever before). All of which has led, as The Wall Street Journal reports, to a number of investors abandoning defensive positions taken to protect against a market downturn, in the latest sign that many doubters are shedding caution as the long rally rolls on. 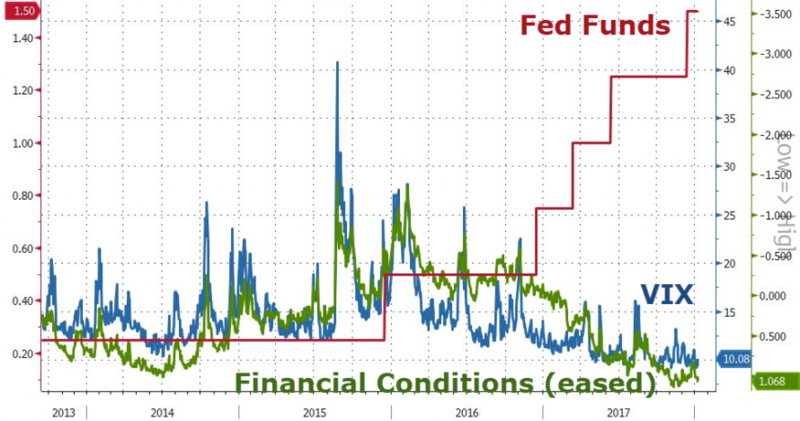 “I haven’t seen hedging activity this light since the end of the financial crisis,” said Peter Cecchini, a New York-based chief market strategist at Cantor Fitzgerald. "Our team has observed a dramatic shift in sentiment since we initiated coverage in April. In April, it felt as if people were looking for a reason for the market to fail. 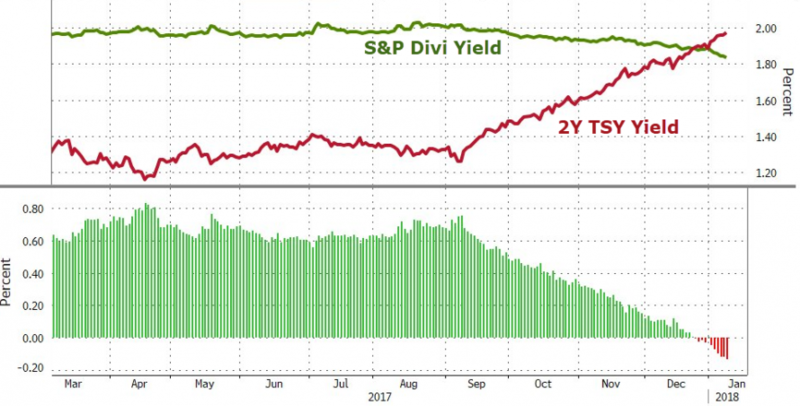 Now, we have seen a total reversal with people having a hard time even imagining how the market could decline." 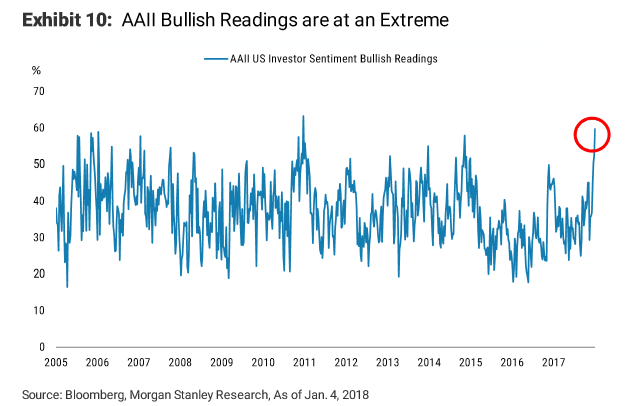 The rapid rise in sentiment indicators and speculative behavior we have seen gives MS more conviction that we are due for a minor correction in the short term. And as we noted previously, the monthly relative strength index (RSI) for the S&P 500 indicates that the market is the most overbought it has been in over 20 years. 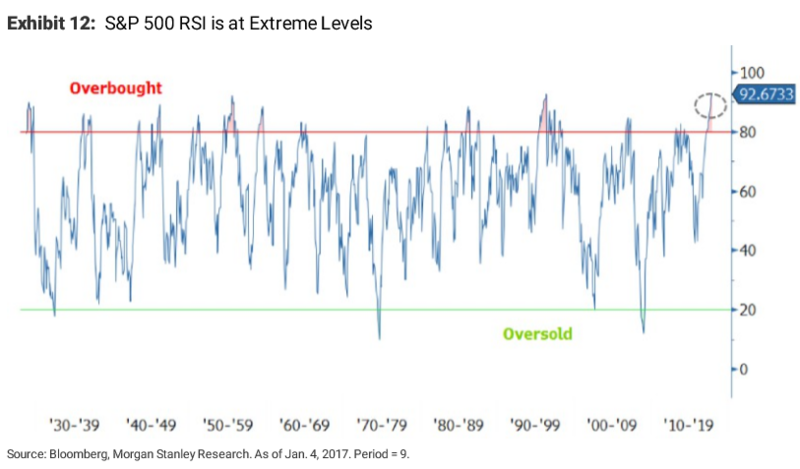 The RSI is currently at the second highest level it has reached since 1928, a whopping 93. 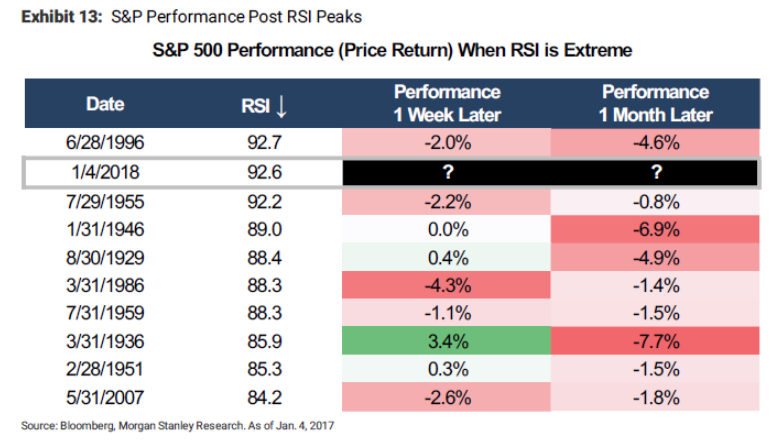 In the past, when the RSI has peaked above 80 an average correction of -3.5% has followed one month later. The corrections have ranged from -0.8% to -7.7%. And there's plenty of ammunition to fuel the downside. Managers are increasingly positioning themselves to capture more potential upside not wanting to miss out in market that keeps rising. 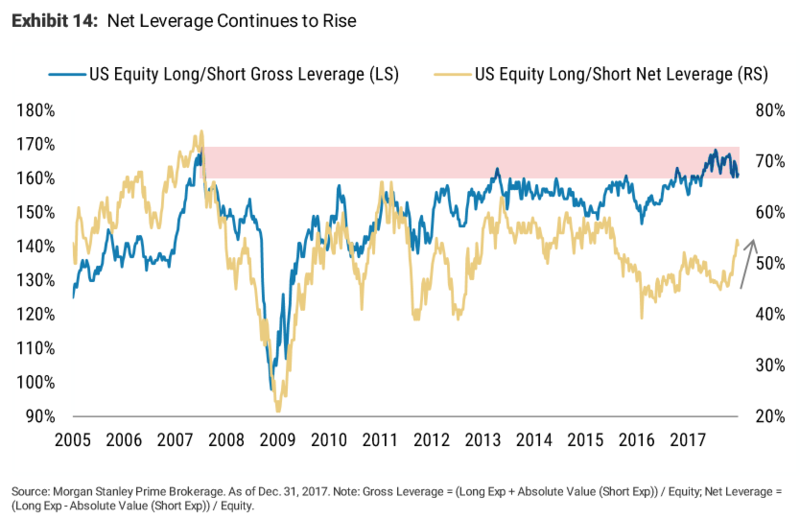 At the same time, gross leverage has also declined modestly - managers are removing shorts but not putting that money into more long positions. However, gross leverage remains close to a 12 year high. 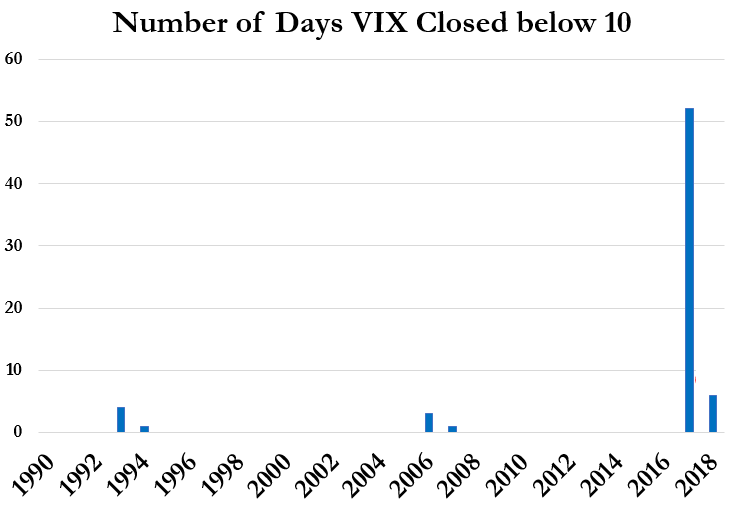 An increase in volatility will likely lead to a forced reduction. Of course, by letting their hedges expire as we noted above, investors would feel the full brunt of a market selloff. While that would intensify the pain for any individual trader, some analysts and brokers worry that the cumulative effect of more investors giving up their protective positions could itself become a source of volatility. Many investors could rush to sell their positions and limit their losses during the next period of market weakness, exacerbating any plunge in prices. “When the ultimate disruption occurs, the market is less prepared for it,” Dean Curnutt, chief executive at New York brokerage Macro Risk Advisors, said. But that won't be allowed to happen, right? Because "it's different this time."